In 2014, Burbrink and Guiher split Agkistrodon laticinctus from Agkistrodon contortrix, and eliminated the other previously distinguished subspecies. 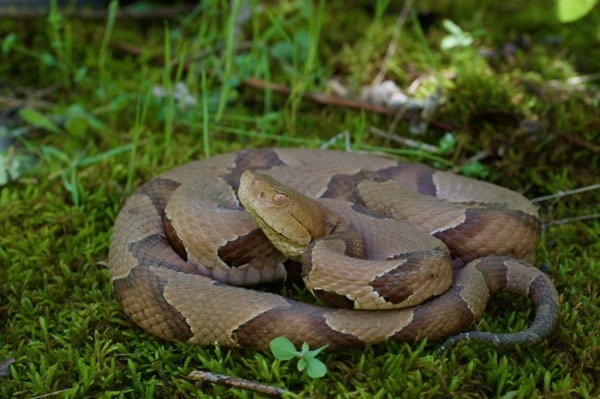 Copperheads live across a wide swath of the southern and southeastern USA, and are not particularly rare throughout their range, but I had somehow managed to avoid seeing any in a couple of decades of herping, including several visits to their homelands. This beautiful specimen had been resting under a log before it was rudely awakened for a photo session. We found a second individual a little while later. 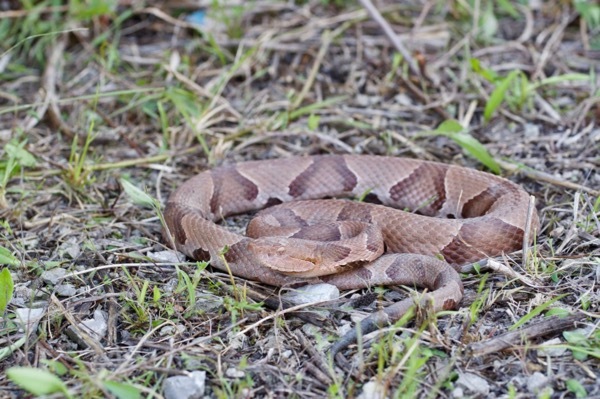 I saw my third Copperhead the next day, hiding under the same hunk of old billboard as a big fat Timber Rattlesnake.